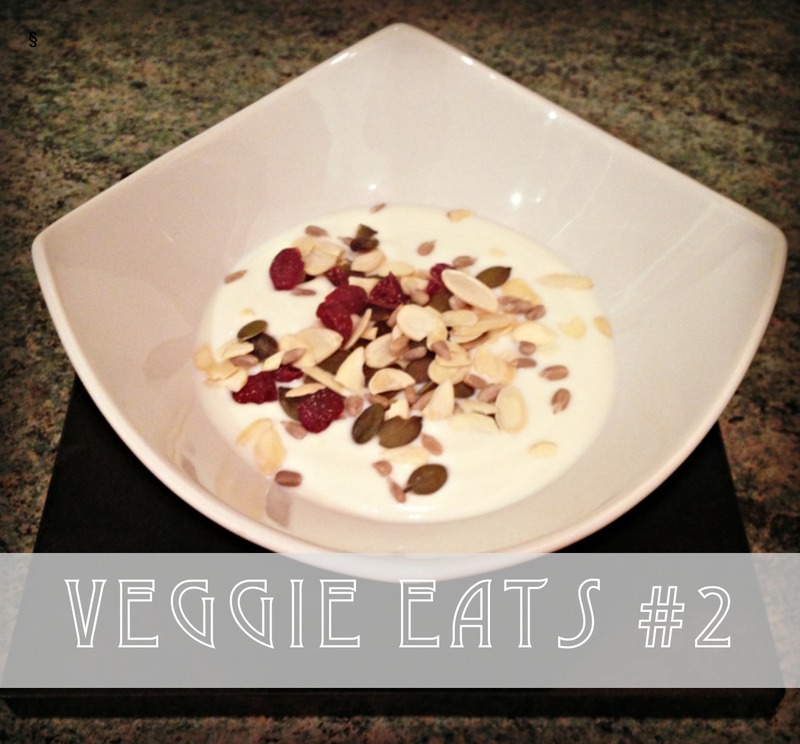 A short and sweet, healthy veggie eat; fat free natural yoghurt topped with flaked almonds, pumpkin seeds and dehydrated cranberries. This versatile little treat is perfect any time of day: add to cereal for a more interesting breakfast, enjoy as a midday snack or add fresh fruit for a twist on a diet-friendly dessert. For a super fibre boost, use wholegrain yoghurt and chopped bananas, yum!